Women's Original Snow Leopard Cuff Boot Socks is rated 4.6 out of 5 by 8. 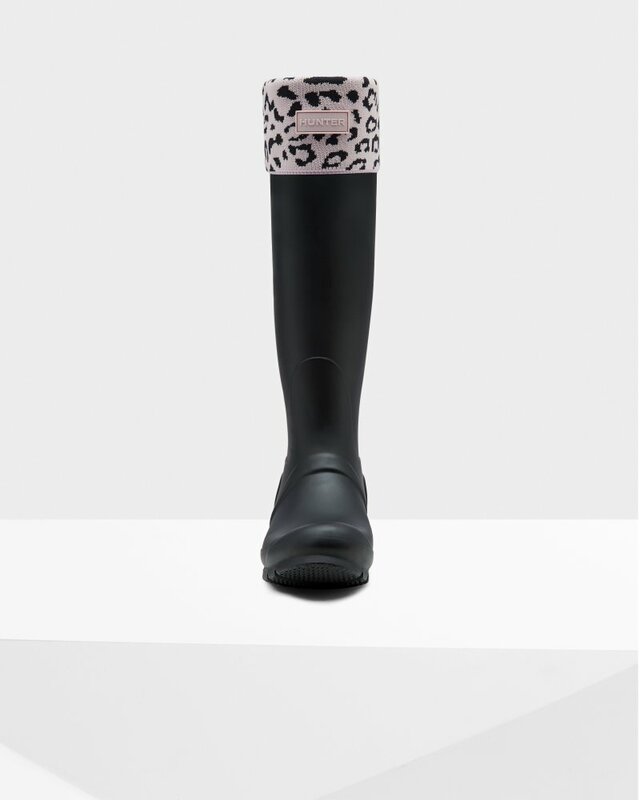 Be spotted in these trend led boot socks featuring a leopard print cuff. Designed to be worn with Hunter Rain boots, these cozy boot socks offer comfort and warmth while enhancing the fit of the boot. Rated 5 out of 5 by Kstew from Just like picture Super cute and very cozy. Cuff fits perfectly over the boots ! Rated 5 out of 5 by Lizzy77 from Perfect Love them! Very stylish and warm. I just may get another pair!